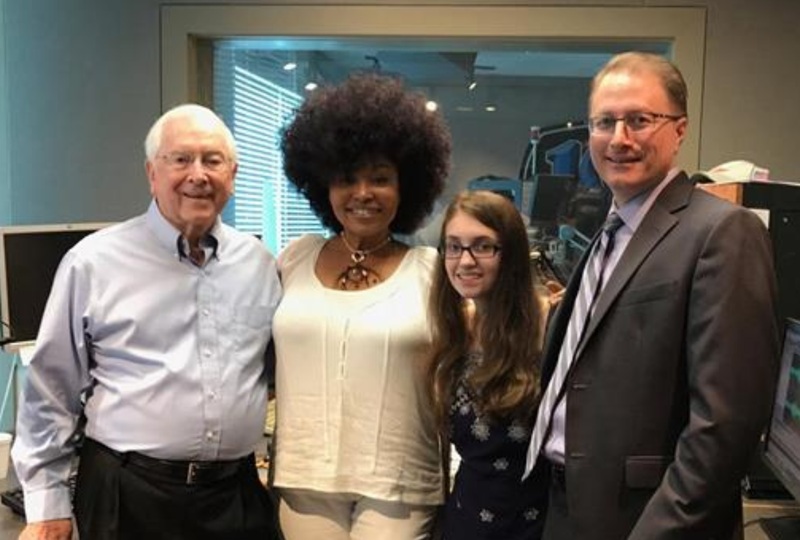 Sydney Norwood (pictured 3rd from left) was recognized as Outstanding Student for the 2017-2018 year by Charlotte Concerts. Sydney is a junior at South Mecklenburg High School and a cellist in the Union Symphony Youth Orchestra. 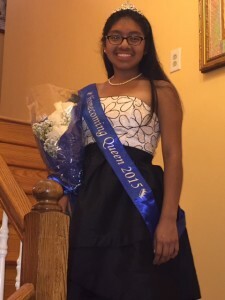 She sings in the St. John’s Episcopal Church Choir and participated in the Inaugural A Musical Showcase last year. Arte Elliott, former Union Symphony youth player presented A Passion of Faith in the Wingate University Wind Ensemble final concert on Monday, May 1. Arte is shown following the performance with Kim Norwood, Executive Director of Union Symphony Orchestra. 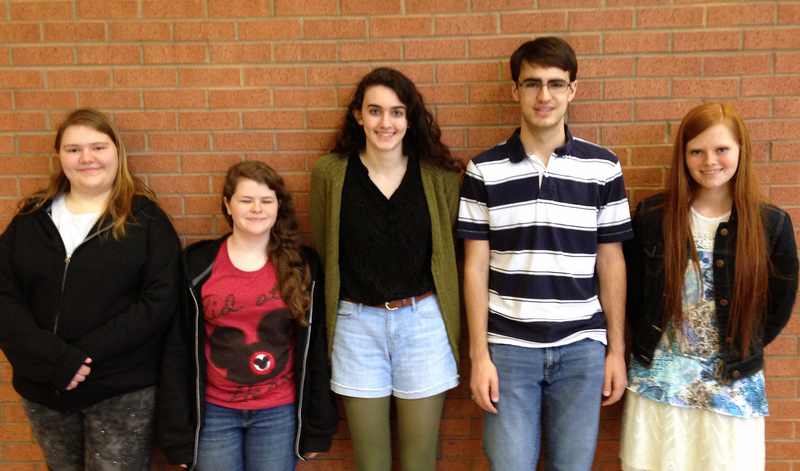 These students auditioned and made the South Central District Honors Band. All of these students were sponsored by their school band directors and are members of the USYO. 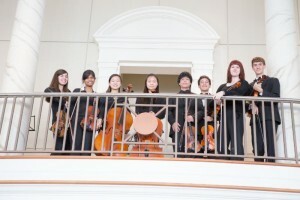 Pictured left to right: Alex Lay-Calvert, Megan Zhang, Sarah Austin, Immanuel Santiago, Thomas Mattison, Janelle Craig, Anna Walter and Natia Skorupski. 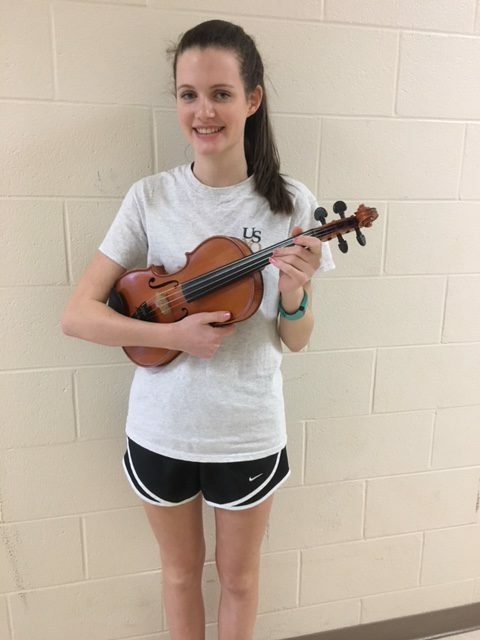 USYO sponsored Sarah Austin for the NC Western Regional Sr. Orchestra and Sarah not only made the the group, but made the top Honors Orchestra Violin II. Sarah also made the South Central All-District band on Horn. 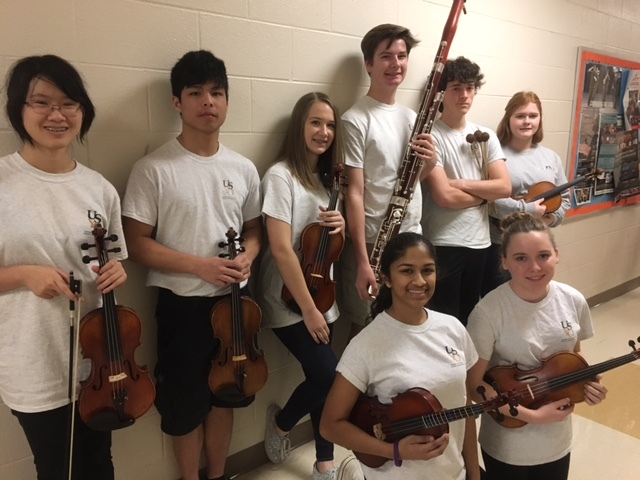 Several USYO members auditioned and were accepted into the 2017 NC Western Regional Orchestra. 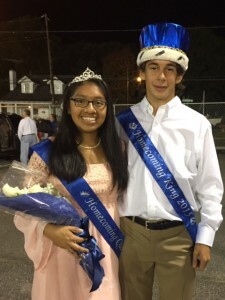 Pictured left to right: Emily Xu, Daniel Clarkson, Erin Tennis, Ava Tennis, Nick Fox, Richie Lane, Julia Chandler and Anisha Reddy. USYO Directors Sabrina Howard, Keith James and Amanda Turner attended each of these events with the students. Joseph is first runner up for vocalist at the Artists Music Guild Competition. He will appear on national television with the AMG in November. 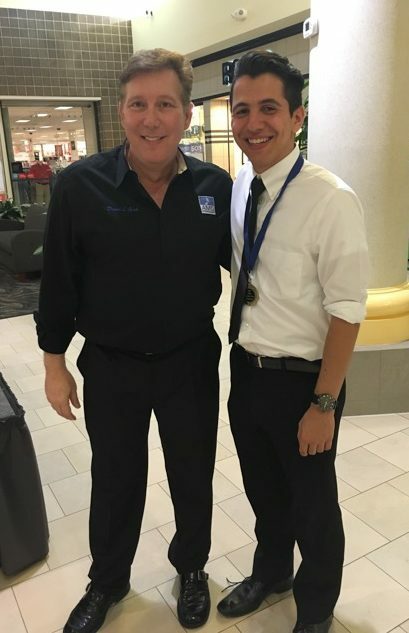 Congratulations to Stephen Gaynier, Union Symphony Youth Orchestra member, who has been named Charlotte Concerts Outstanding Student of the Year! 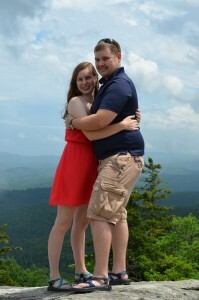 Dayna Hagstedt is a former USYO member, and has recently performed at Davidson College. 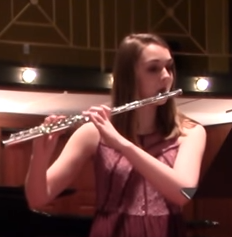 Take a look at her performance of Fantasie for Flute and Orchestra. Congratulations to Abril Ruiz-Lopez, who was crowned Homecoming Queen of her school, Central Academy of Technology & Arts. The photo below is of Abril as Homecoming Queen with Homecoming King, Max Kiker. “If we hadn’t been in the Youth Symphony we would have never met each other. When we came down to the auditions to volunteer, Bryan just happened to bring ba ck the USYO string bass – and he ended up sticking around to help with auditions and hang out with me. After the day was over he gave me his number and we started talking and went out on our first date to the Belmont drive-in movie theater on July 12, 2012. Since then, we have played in the Wingate University Wind Ensemble together. 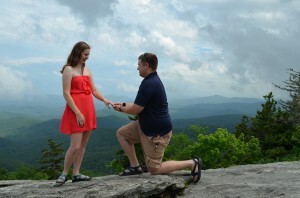 On June 15, 2015 he asked me to marry him. We will be getting married when I graduate school in 2018″. “We had the opportunity to play some tunes for the audience before The President’s Own United States Marine Band concert. I play the quads in the pep band and we play for all home football games. 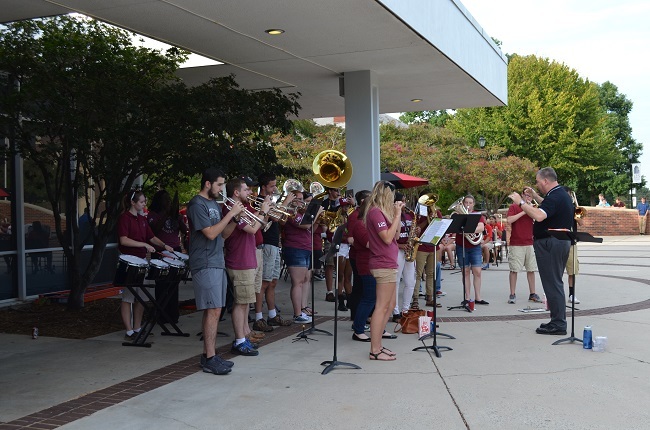 Next year Lenoir-Rhyne University is starting its very first full marching band”. Sharon Tate photographed Union Symphony Youth members at the Labor Day orchestra camp. We would like to thank Sharon Tate for her philanthropic efforts and ongoing partnership with USYO. Kate Clyde’s Catered Creations provided delicious meals Saturday and Sunday night for the youth students and staff during Labor Day camp. We would like to congratulate and welcome Amanda Turner as our 2015-2016 Union Symphony Prelude Junior Strings Music Director. We are excited that she is joining us and we look forward to a great season. Turner holds a Bachelor of Music (1998) and Master of Music (2005) in Music Education, both from the University of North Carolina at Greensboro. In 2008, she was awarded National Board Certification by the National Board for Professional Teaching Standards. Currently, Amanda teaches orchestra, and beginning guitar at East Mecklenburg and Ardrey Kell High Schools, both located in Charlotte, NC. Mrs. Turner also helps with the 5th grade afterschool program at Charlotte Latin School. 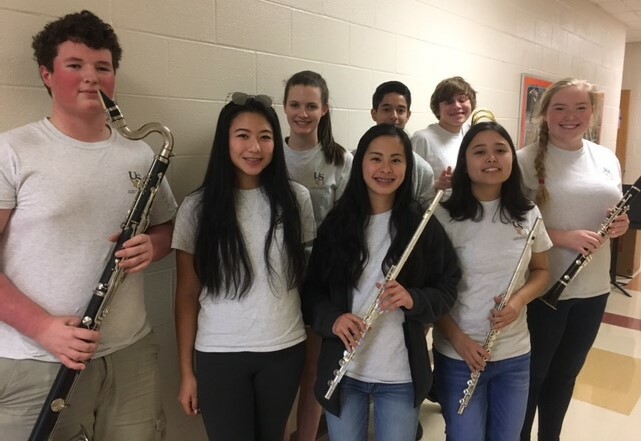 Orchestras under Mrs. Turner’s direction have consistently earned Superior and Excellent ratings at the North Carolina Music Performance Adjudication and at a variety of other performance venues. 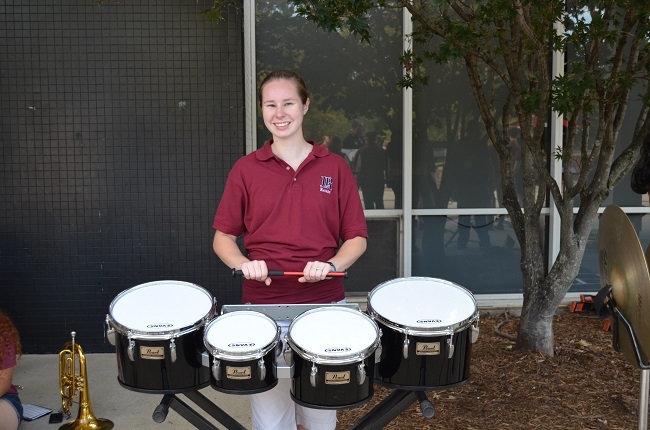 Students in her ensembles are chosen to participate in auditioned orchestra including the North Carolina Honors All-State Orchestra, Western Region Orchestra Clinic, the Junior High Western Region Honors Orchestra and the Charlotte-Mecklenburg High School All-County Orchestra. Read more of Amanda Turner’s Bio. 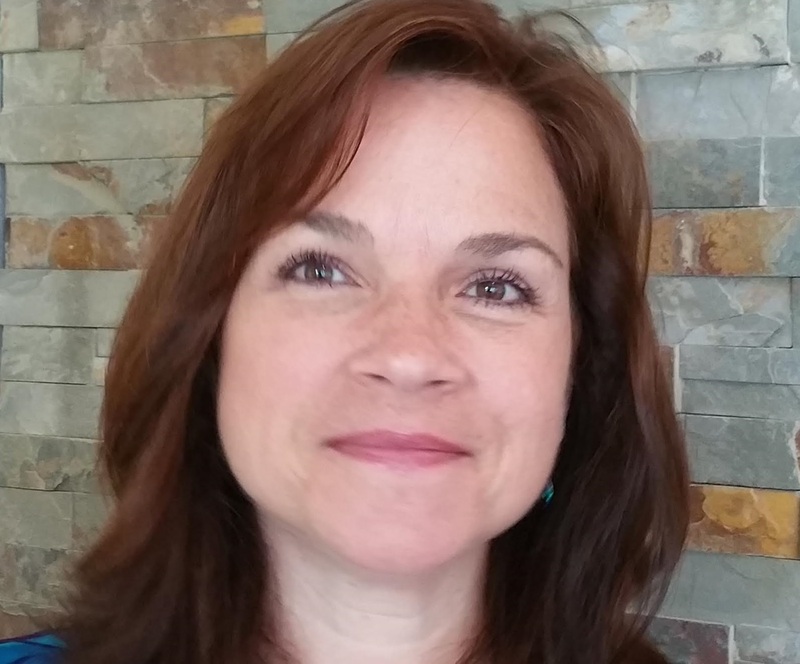 We would like to congratulate and welcome Carol Wiley as our 2015-2016 Union Symphony Youth Manager. Wiley is a classically trained professional vocalist and military veteran with 22 years of experience in The United States Air Force (USAF) Band, The Singing Sergeants, performing for U.S. and global leaders and public. Her many titles with USAF include; Premier Band Manager, Vocalist, Chief Master Sergeant, Superintendent, Deputy Directory of Operations, Priority Events Manager, and Chief of Commander Support Staff. She has also been the Director of Music for various church music programs in Washington, DC. Vivace Strings, under the direction of Courtney Guthrie, gave a beautiful performance in the Rotunda of the Batte Center at Wingate University prior to the Symphony & Psalms concert on Sunday, March 29. This talented group did an amazing job setting the tone for the night and getting everyone excited in anticipation of the concert. 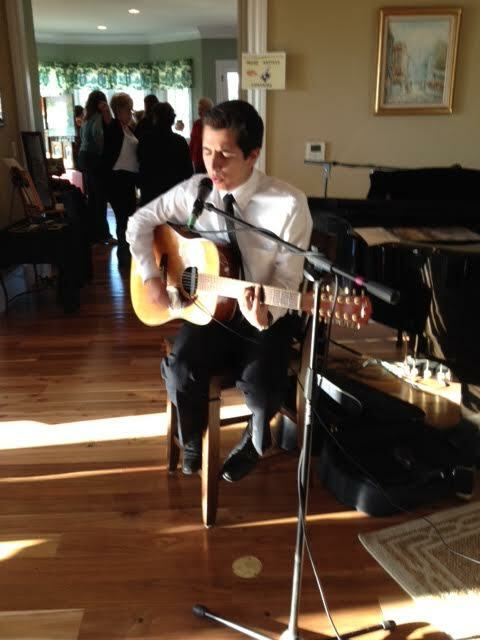 Joseph Gallo performed for the Artists’ Showcase at The Inn at Rosehill on Saturday, December 15, 2014. 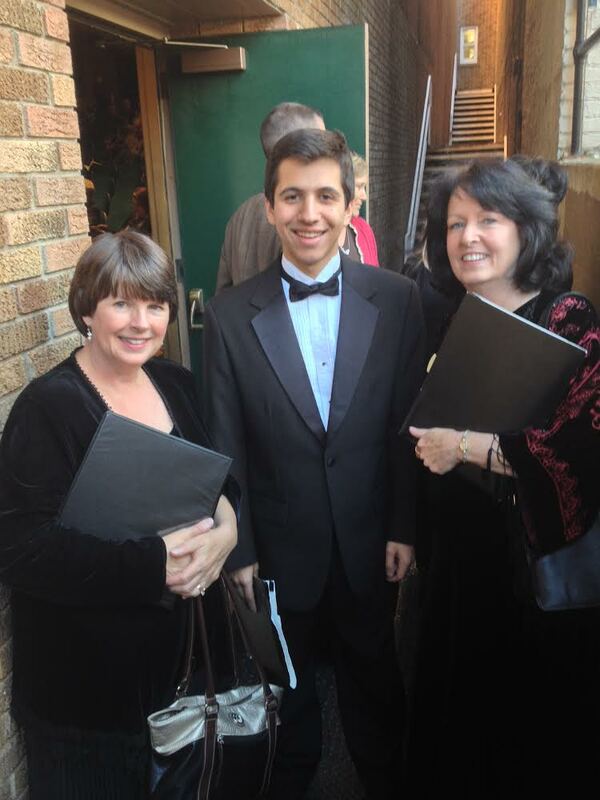 Congratulations to Joseph Gallo for being selected by audition for Honors Chorus. The workshop for Honors Chorus Participants was held on October 25, 2015 at The Batte Center Fine Arts Center at Wingate University. Joseph Gallo, son of Peter and Svetlana Gallo, lives in Charlotte, North Carolina. He has been a member of Union Symphony Youth Orchestra and Union Jazz since 2012. He attends Ardrey Kell High School. Congratulations to (L to R) Caitlin Boyer, Zoe Branson, Nadia Neman, Jordan Bjerken, and Jessica Caviness for achieving perfect on-time attendance (no absences or tardies) thus far in the 2013-2014 season. Congratulations to Kyle Johnson for receiving The John B. Howren Scholarship! This scholarship is awarded to a member of the South Central District Honors Band and is a tuition contribution to the summer music camp of the student’s choosing. Kyle Johnson, son of Mark and Midori Johnson, lives in Indian Trail, North Carolina. He has been a member of Union Symphony Youth Orchestra and Union Jazz since 2011. He is a member of CATA’s band, where he received the John Philip Sousa Band Award in 2013. He has placed in the North Carolina All District Honor Band four times and the North Carolina All-State Honor Band three times. 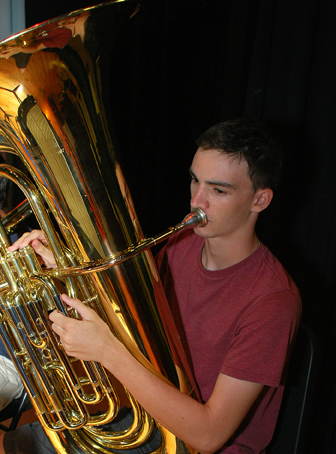 Ben Laramee, Tubist, will be recognized for excellence of music at Charlotte Concerts Wednesday, January 29, 2014. Charlotte Concerts will host Vienna Concert-Verein Orchestra. In 2001, 2002, 2006 and 2011 the Vienna Concert-Verein Orchestra was awarded prizes by the Ernst von Siemens Music Foundation. 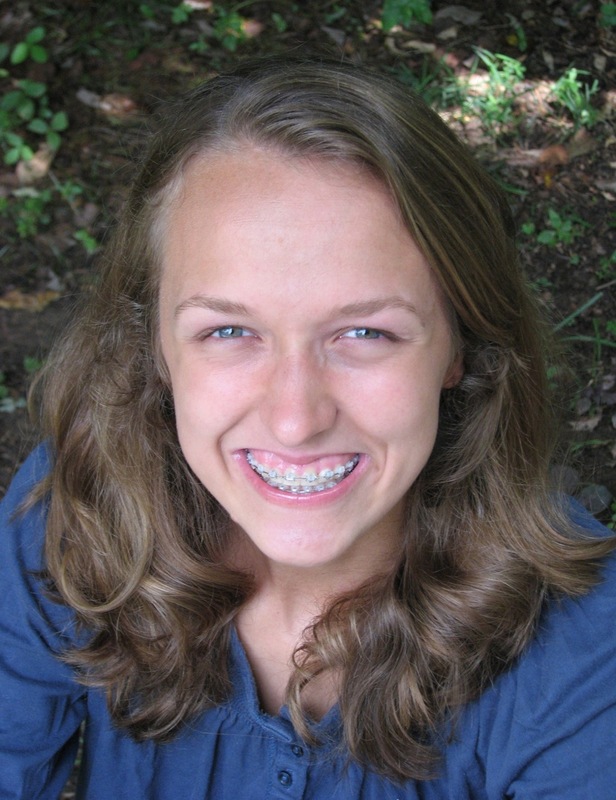 Charlotte Concerts honors an outstanding local high school musician at each of its concerts. 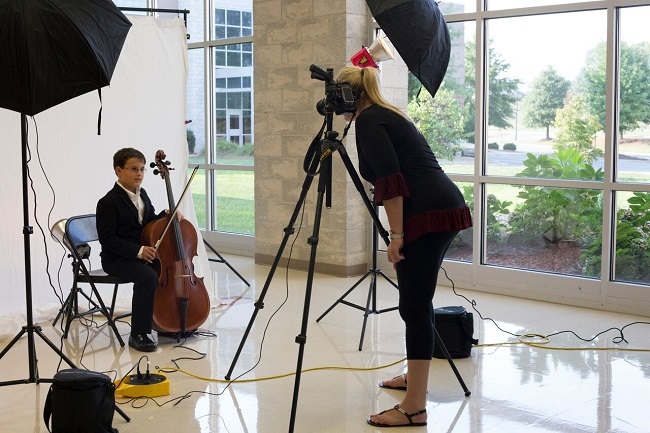 Outstanding Students demonstrate excellence and interest in the study of the performing arts. Ben Laramee, son of Gary and Debbie Laramee, a triplet who lives in Waxhaw, North Carolina. He began playing tuba in sixth grade. 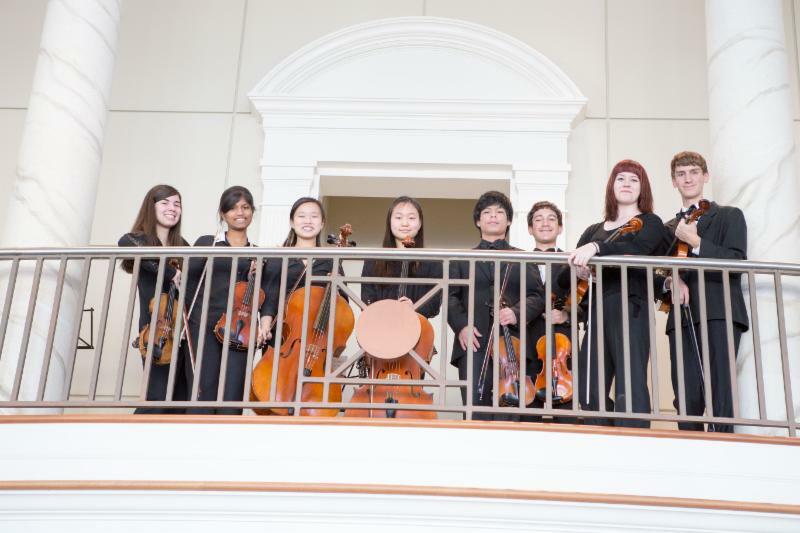 Ben has been a member of the Union Symphony Youth Orchestra for three seasons, and also served a season in the Charlotte Symphony Junior Youth Orchestra. He has placed in the North Carolina South Central All-District Honor Band four times, and the North Carolina All-State Honor Band twice. Ben is the principal tubist in the Cuthbertson High School Blue Note Winds. 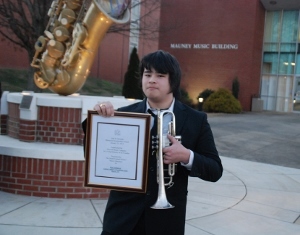 Ben has twice been a member of the Winterfest Honor Band in Savannah, Georgia, and three times a member of the UGA Midfest and Janfest Honor Bands. Ben plans to continue playing tuba in college. 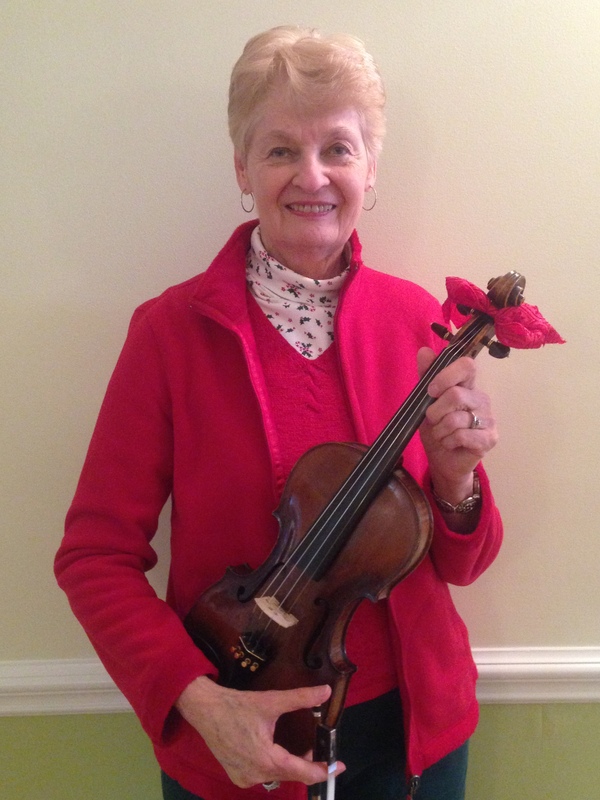 Beth Joy Fowler, director of Allegro Strings and Dorian Fiddles, visited Cleveland, Ohio in May and July to take more than 20 string instruments to Peter Zaret and Sons Violins. Dr. Zaret is known throughout the musical world for his notable Brass Bar invention that radically improves the power and tonal qualities of all stringed instruments. They retrofit violins, violas, cellos and basses with the bass bar extension and bassbar. Fowler said, “Zaret turns a student violin into a professional sounding violin” by enhancing a bigger and fuller sound. When she dropped off the violins at Peter Zaret and Sons, he had her express the type of sound she wanted the violins to execute. When she returned, she tested each violin. Fowler has had her 200 year old Friedrich August Glass violin retrofitted by Peter Zaret and Sons Violins. Zaret more recently, developed the Zarelon Acoustic Bow, an acoustically improved material that works better and lasts longer than horsehair. Zaret provided some of his work gratis and a generous nonprofit discount. Fowler plans to take another trip to Cleveland to provide benefits to her students. 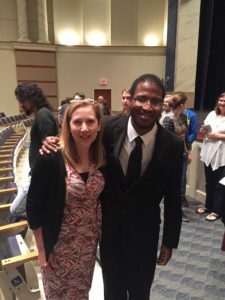 She has devoted many hours of caring energy and support to provide students with improved stringed instruments and to advance their musical capabilities. Thank you, Beth Joy Fowler! Glaubirsel Figueroa and James McLelland volunteered at WDAV’s fall membership drive, where they answered pledge calls on Wednesday, October 2, 2013. WDAV gave Glaubirsel and James a tour of their facility. WDAV 89.9, a public radio service of Davidson College. The purpose of WDAV is to provide classical music and cultural arts programming of the highest quality and to promote the activities of local arts organizations and artists of all disciplines. A big thank you to WDAV for giving an educational experience to James and Glaubirsel. 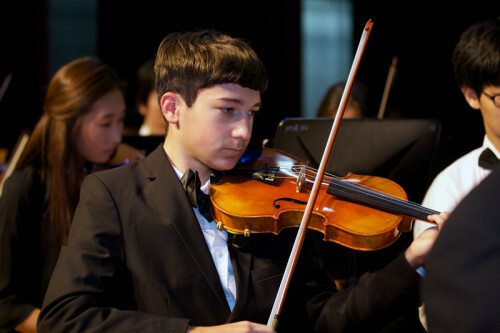 Glaubirsel, violinist with Union Symphony Youth Orchestra, is a junior at Ardrey Kell High School. She has been studying violin for five years. Glaubirsel is the daughter of Rigo and Jubitza Figueroa. James McLelland, bassist with Union Symphony Youth Orchestra, is a freshman at Butler High School. He has been studying bass for four years. James is the son of Brad and Katherine McLelland. Suzanne McLendon, violinist, will be recognized for excellence of music atCharlotte Concerts this Friday, September 20, 2013. Charlotte Concerts will open its 84th season with a performance by Emerson String Quartet. Emerson String Quartet has procured nine Grammys® (including two for Best Classical Album), three Gramophone Awards, the Avery Fisher Prize and Musical America’s “Ensemble of the Year.” Charlotte Concerts honors an outstanding local high school musician at each of its concerts. Outstanding Students demonstrate excellence and interest in the serious study of the performing arts. Suzanne McLendon is the daughter of Woody and Mary McLendon of Waxhaw, North Carolina. She has played violin since she was seven years old. She is a senior in high school and is home schooled. Writing and working with children are two of her interests. 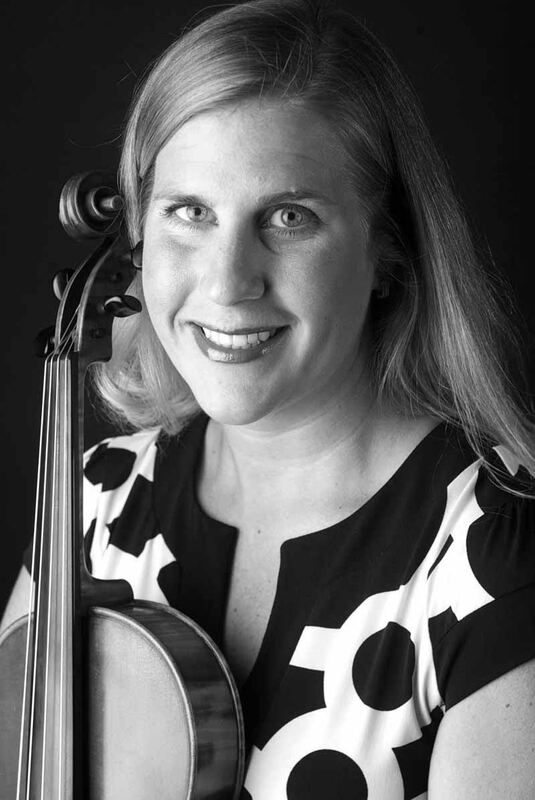 Violin holds a special place in her heart; she has grown through taking private lessons from three different instructors, serving as part of the Tehillah Chamber Players, and performing with the Union Symphony Youth Orchestra. Suzanne is in her fourth season with the USYO and has appreciated the challenge of performing at that level. She also loves playing the violin with her youth group worship band, a new experience in the last year. 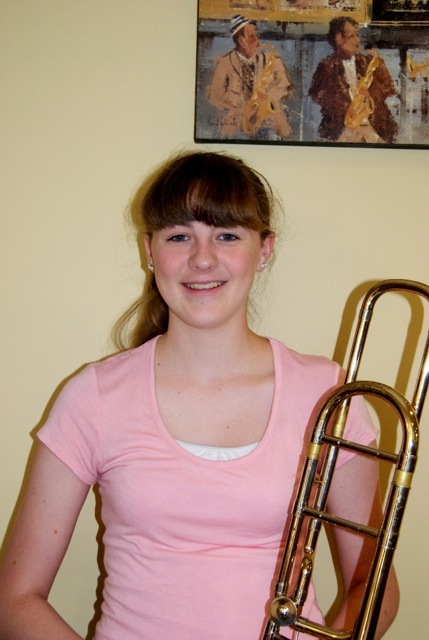 Melissa Hagstedt, principal trombone with The Union Symphony Youth Orchestra, was selected to perform in the 2013 NAfME All National Honor Ensemble – Concert Band in Nashville, TN in October. This event is a 4 day clinic consisting of the country’s most talented high school students. Melissa has been playing the trombone for 5 years and has consistently made All District Band and All State Band. She also performs with Union Jazz. Melissa is the daughter of Gerard and Barbara Hagstedt. 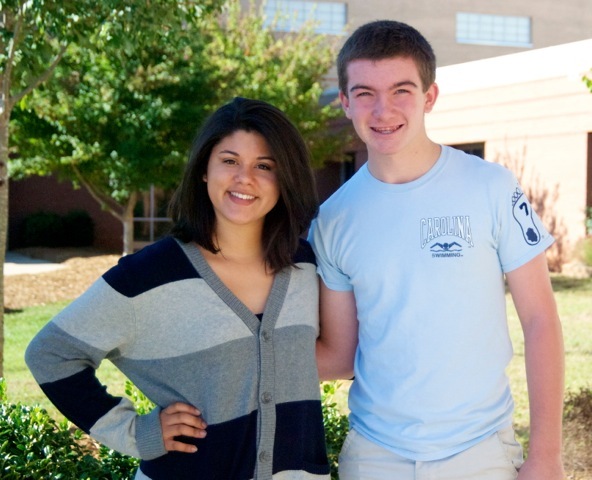 She is a junior at Marvin Ridge high school and is planning a career in musical performance. Adam Sullivan performs for the worship service at First Presbyterian Church, Downtown Monroe. 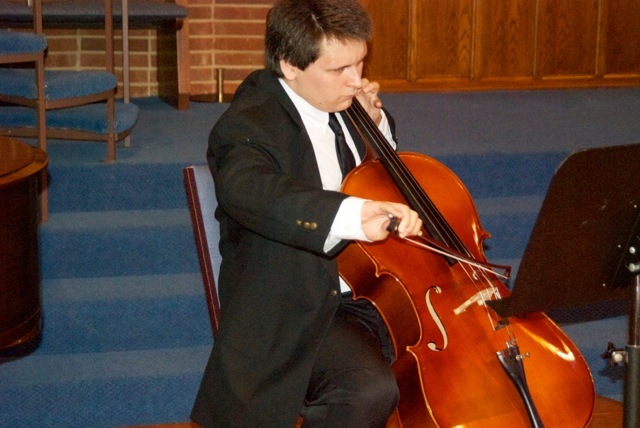 Adam, a charter member of the Union Symphony Youth Orchestra, is a sophomore student of music performance at Winthrop University.